That is the lead Sasha Sabbaghian has as the final table begins in the $100,000 Guaranteed Launch. 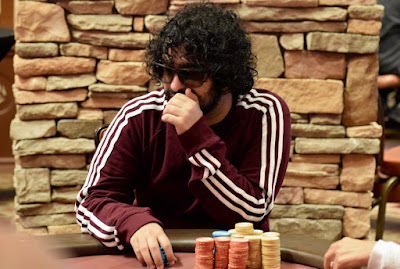 There's only 5.3 million chips in play, and while Will Chao, Robert Pacleb and Warren Kashiwagi are separated by just 1BB for 2nd-4th stacks, Sasha continues to crush this tourney. Here are semi-official counts for all 9 final table players.